Everyone loves a great painting. While art has become a buzzword in the past few decades, some works of art have transcended cultures and defined eras. 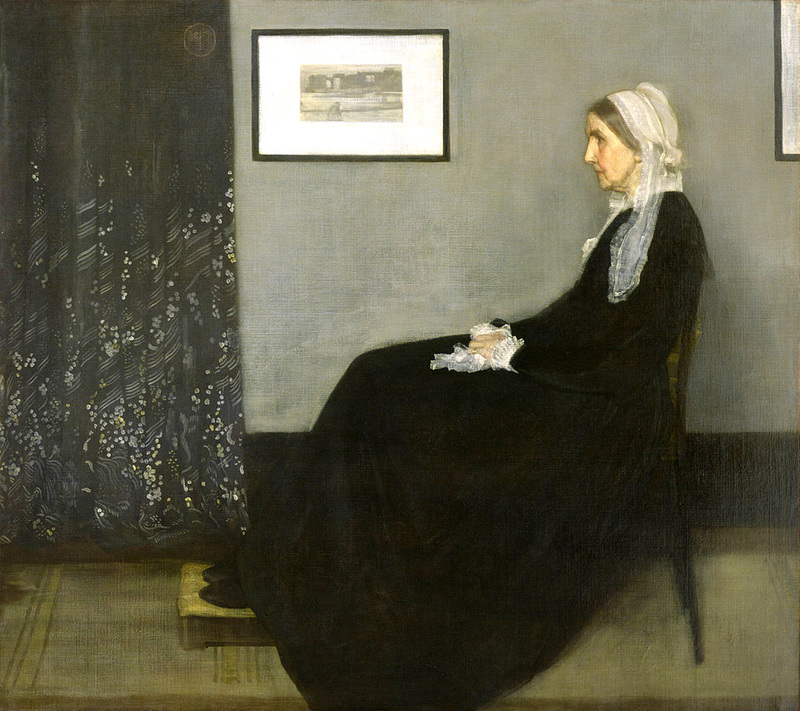 The debate about the ‘greatest painting’ is a highly subjective one; exciting and equally controversial. We have always wanted to create a list of greatest artworks. So, on the fourth of July, we decided on this list… why not? 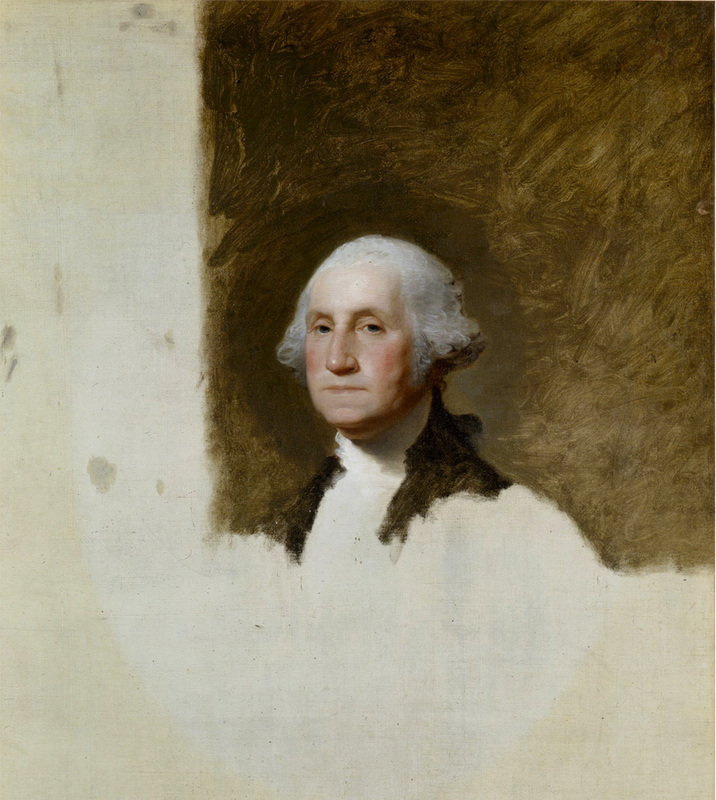 Earning it’s place on the dollar bill, Stuart’s painting is arguably the most reproduced American painting of all time. He decided to keep it unfinished. The symbol of the Jazz scene in the 60’s. This piece was painted by former professional athlete, Barnes. 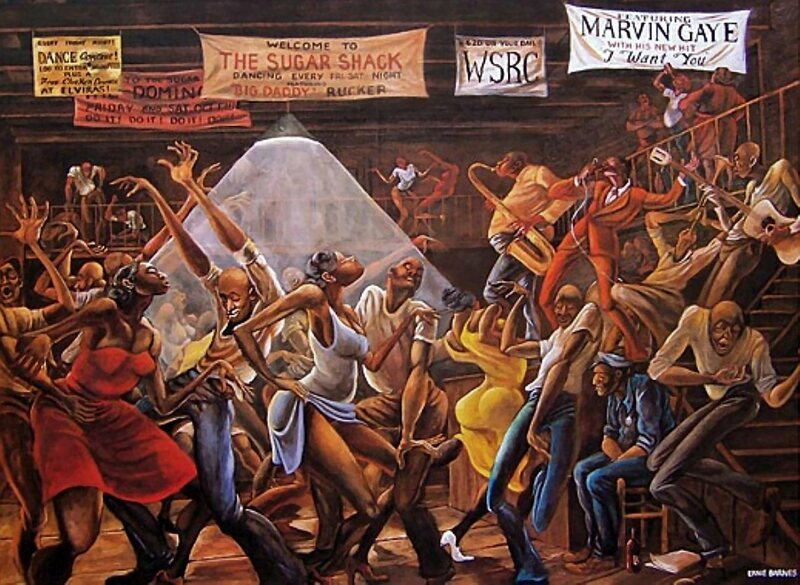 It is the go-to image for Jazz and Blues spots and was used as the JJ Evans painting in Good Times. Freedom From Want is one of the four freedoms in a series of paintings inspired by a Roosevelt’s speech. 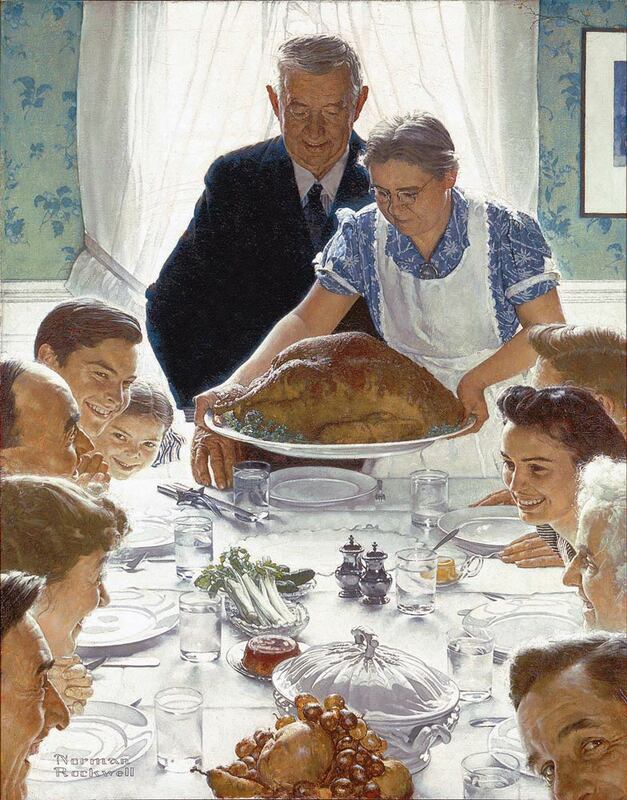 Rockwell focused on the everyday life of the “American Dream”. Often considered the greatest sports painting of all time. 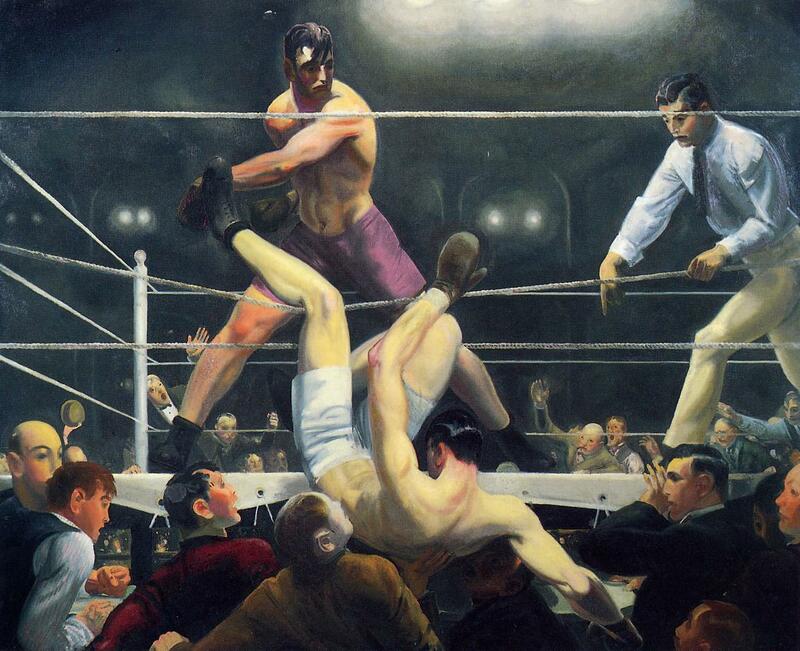 This piece by Bellows captures the dramatic 1923 prizefight that had Dempsey flying through the ropes. Powerful. 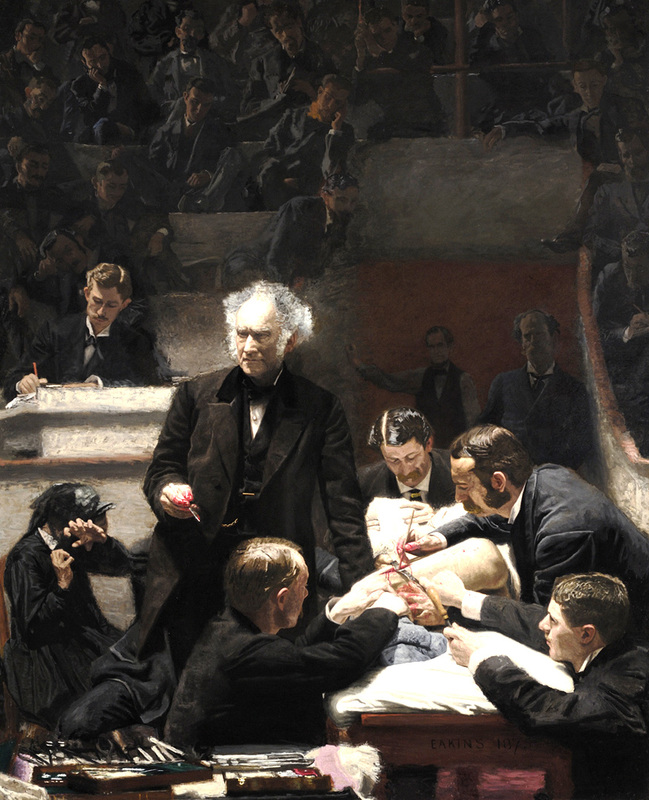 This Eakins painting features a self portrait of the artist on the top left corner, noting the surgery of Dr. Gross on the cancerous femur of a young man. The pensive look on the great doctor’s face speaks volumes. 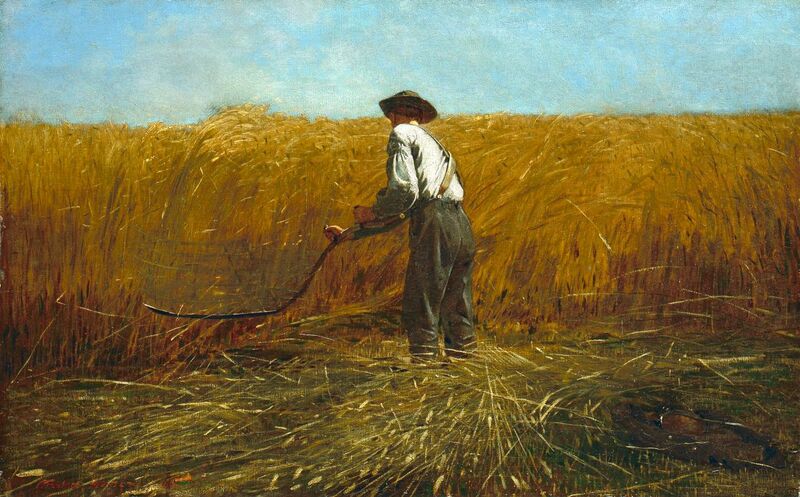 This painterly masterpiece is somewhere between Wyeth and Van Gogh. The composition of the subject, consumed by his task and with his back to the painting, creates a mysterious serenity that imbues mystic in the painting. 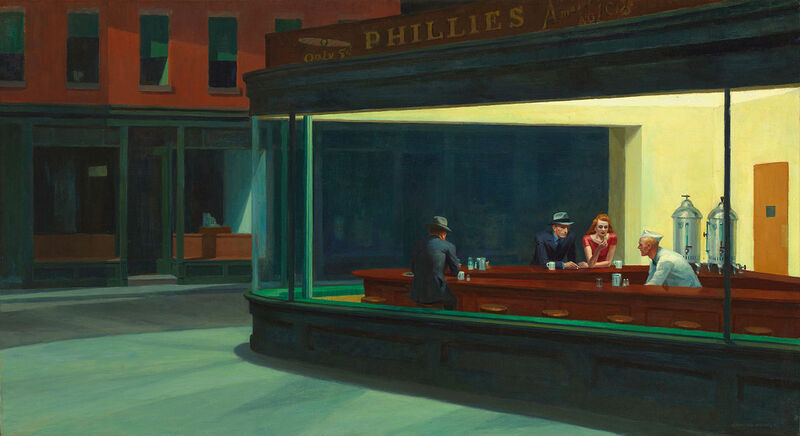 A stark depiction of loneliness, alienation and the breakdown of city life. This is the highly evocative American masterpiece that influenced the look and feel of Blade Runner, and is constantly reproduced with the likes on Marilyn Monroe and Humphrey Bogart in the scene. There are not many American paintings as recognizable as Wood’s 1930 masterpiece. As famous as any Renaissance piece in America and a staple feature at every Halloween costume party. 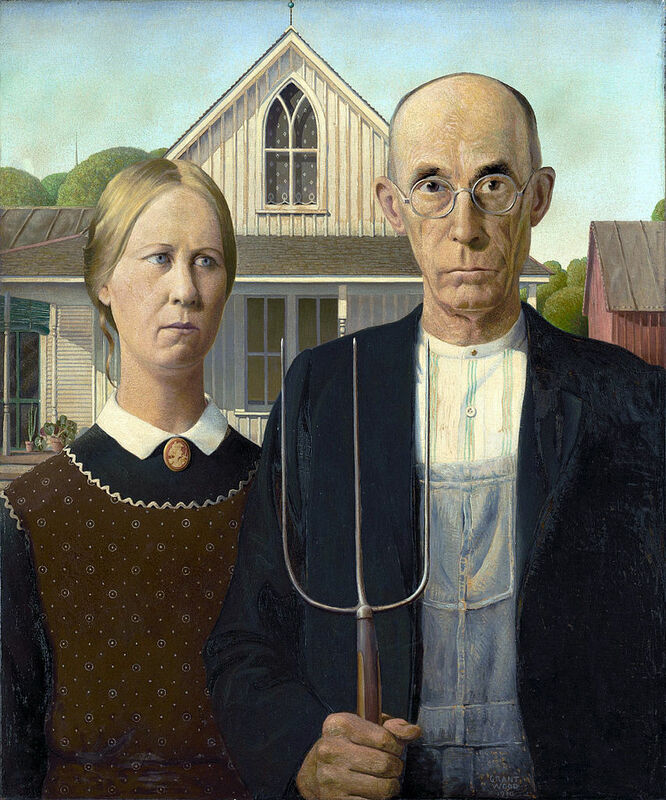 American Gothic a symbol of the middle American simple life. We need not say much about this painting, you’ve seen it, it has been parodied and replicated the world over. The emotion in the painting is captivating; the subject reaching for a destination impossibly far away. 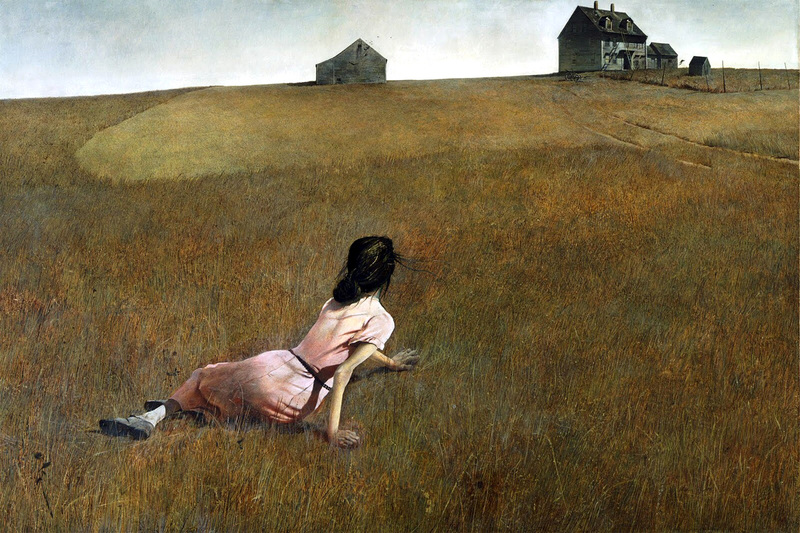 Wyeth’s masterpiece actually depicts Christina Olson; a paralyzed woman stranded in a field. The “American Mona Lisa”… enough said.